FlexiShield paint protection film works as a nearly invisible layer of armor over your car’s finish. 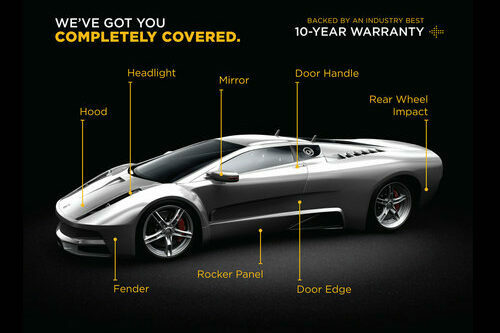 This crystal-clear, energy-absorbent polyurethane film is computer cut from a database of precision templates specific to your car, and then safely bonded to the vulnerable painted surfaces offering up to ten years of guaranteed protection. FlexiShield is 100% safely removable on factory paint and provides all of the protection you need with none of the peeling, cracking, yellowing, and blistering that can happen with other less-advanced films on the market. Your vehicle has a few select areas which are deemed “high impact.” Our most popular packages include the front bumper, hood, fenders, and mirrors. People looking for extra protection will typically add on rockers, headlights, door edges, and door handles for maximum protection. Pretty much every painted surface on the exterior of your vehicle can be wrapped with FlexiShield clear bra. The choice is yours. FlexiShield Paint Protection Film is an 8 mil thick polyurethane film. It is the thickest and most durable on the market. 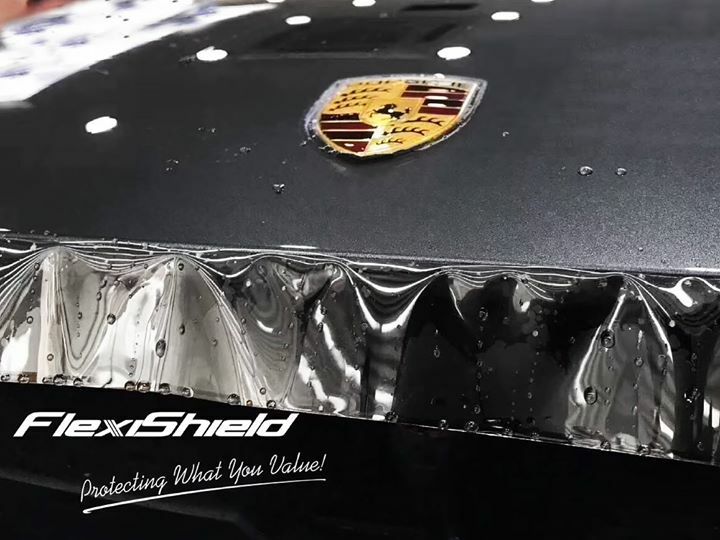 FlexiShield has built a solid reputation in the clear bra industry and continues to improve their product so your vehicle can be protected with the newest technology. It comes with a 10 year warranty against yellowing, discoloration, peeling, cracking and hazing.